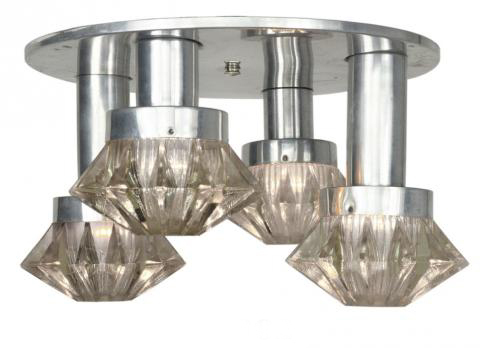 Here is a great ceiling light for a special place. 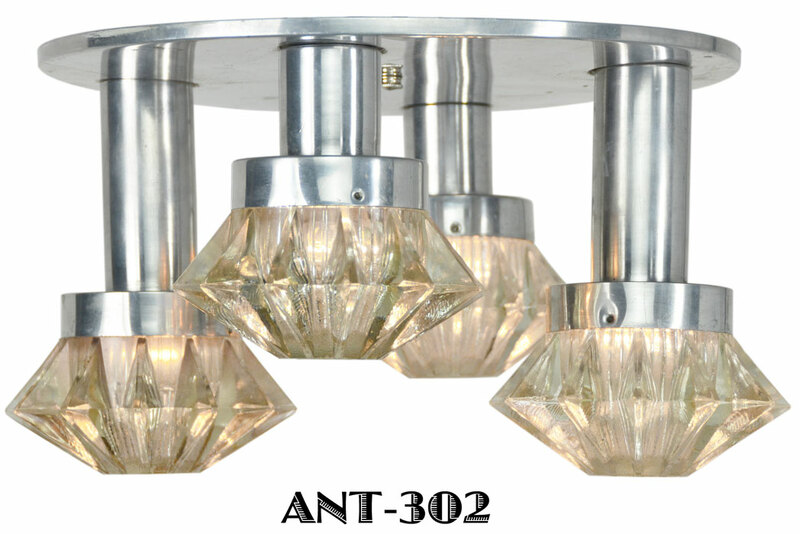 French and made from aluminum, it has four down lights having heavy cast glass shades. These shades are simply neat. Very thick and very heavy, they epitomise the 50’s with the star rays and squat ball shape. They are “thread” into the fitter rather than using set screws. Very neat ! Downside is the size of light bulb it can take. Being a converted French fixture to American sockets, it can only take a smaller 25 or so light bulb. We would recommend our 45C-E26 LED bulb since it gives out about that amount of light, but without much heat and uses only 1.6 watts ! The ambiance of these bulbs is warm and they draw so little electricity (1.6 watts) that we have known folks that leave them on 24/7. The bulbs do have an expected life of 25 - 30,000 hours. The metal could use a polishing or fine steel wool depending on the finish. It does show it’s age a bit, but we tend not to interfere with the aging process since it is a collectible after all. This chandelier has been completely re-wired in our UL shop with new sockets and all new wire. 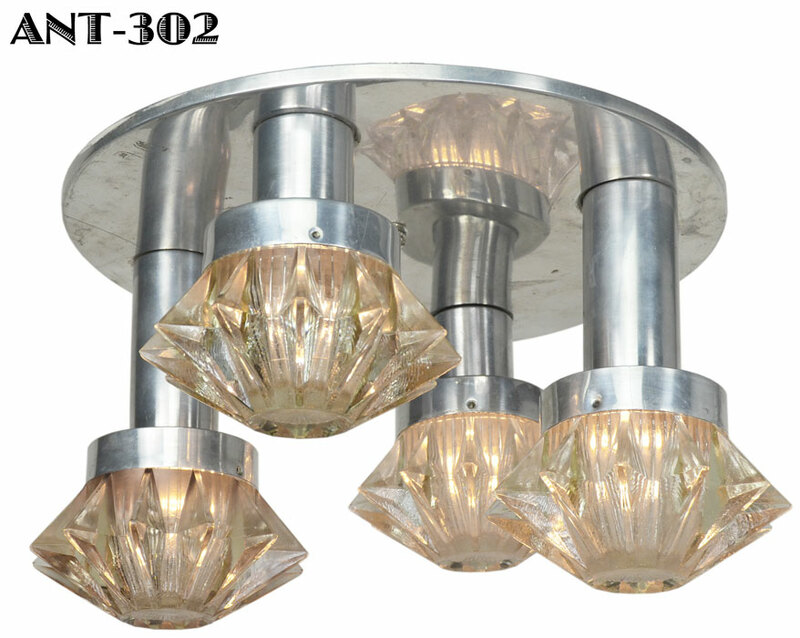 Measurements: The Overall sconce height is 18”. The maximum height (shade) is 9”.